The way people shop is changing every day. Thanks to the proliferation of smartphones and innovations in delivery and data, the retail landscape is evolving like never before. And as retailers become more understanding of what consumers want, the way they choose to market their products changes, as well. We selected 33 companies — from an e-commerce behemoth to a top-notch fast fashion retailer, and more. Here are the consumer companies making big impacts. 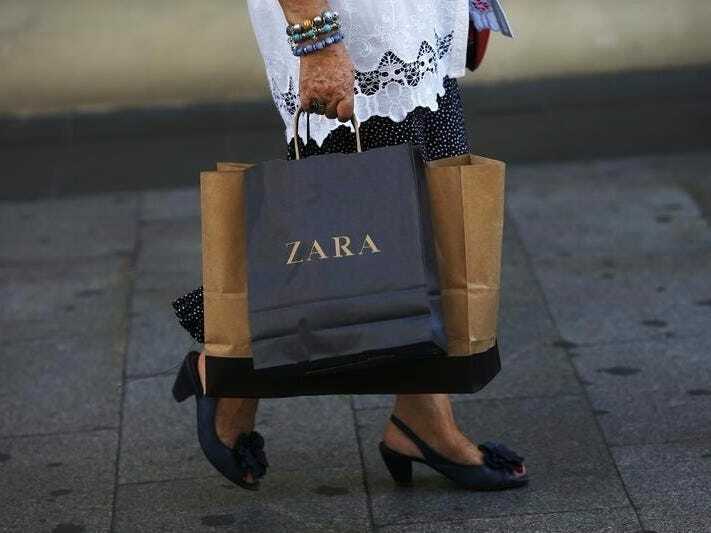 Why it’s revolutionary: Zara’s business model has been called “the best business model in apparel” by Bernstein analysts, according to The Wall Street Journal. The Spanish fast fashion company is quick, on-trend, and is constantly changing up inventory. Under Armour is quickly catching up to Nike. Why it’s revolutionary: The company, which put performance wear on the map, and in 2015, it surpassed Adidas to become the second-biggest sportswear brand in the US by sales. It continues to report impressive results. Under Armour has been aggressively investing in high-profile endorsement deals with athletes like Stephen Curry and Muhammad Ali, while also building up its women’s business. Its deal with Stephen Curry has paid off tremendously. Under Armour’s rapidly evolving technologically enhanced apparel proves that the company — which maintains its underdog ethos – is swiftly catching up to its top competitor, Nike. Under Armour’s CEO Kevin Plank said that he aims for the company’s women’s division to be “at least as large if not larger than our men’s business,” which would make the company’s women’s business bigger than Lululemon. 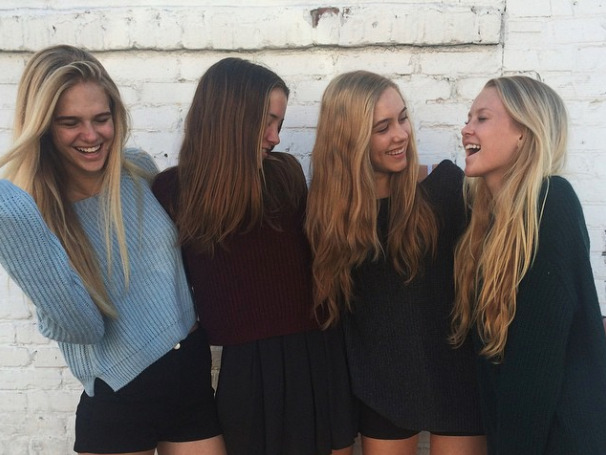 Brandy Melville has nailed marketing to its target customer. Why it’s revolutionary: Fashion retailer Brandy Melville was founded in Italy more than two decades ago, brought its tiny crop tops, high-waisted bottoms, and slouchy sweaters to the US just five years ago. Thanks to a brilliant Instagram account, which features a mix of professional models and real customers, the retailer is beloved by teens, and has a major e-commerce presence. The brand is also notable for offering “one size fits all” clothing, amid criticism. 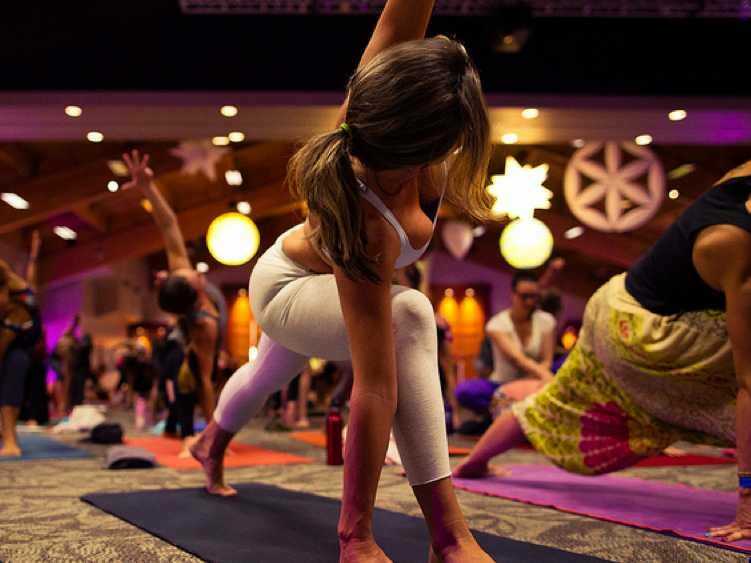 Lululemon has cultivated a community, making it a leader in the athleisure category. Why it’s revolutionary: Lululemon was arguably the one of the first companies to offer women workout clothes they wanted to wear all the time. The athleisure trend has become so popular, it has been arguably eclipsing denim. 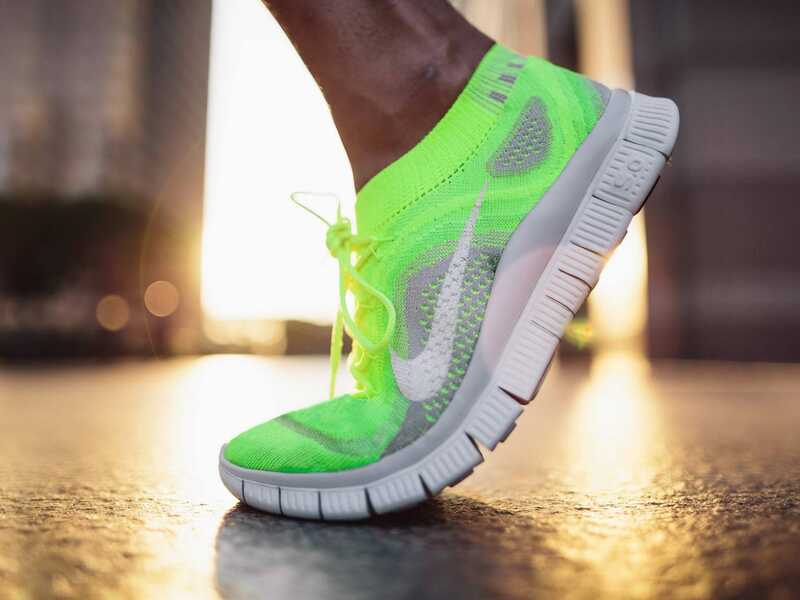 The company now counts Nike and Under Armour among its copycats. Lululemon is continuing to innovate — its “anti ball-crushing” pants have become hugely popular with men. It’s also expanding ivivva, its line for young girls. 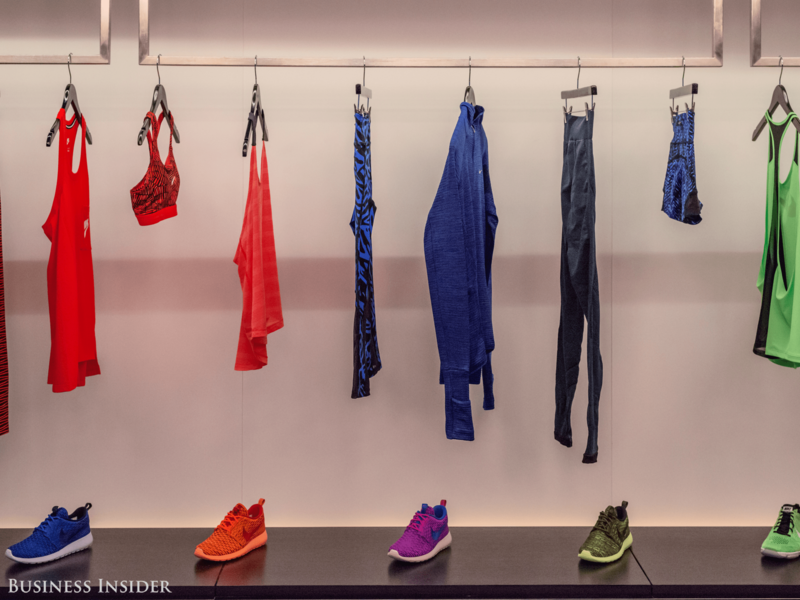 The company’s new flagship model, which debuted in New York this fall, demonstrates that Lululemon is set on cementing a community among customers. 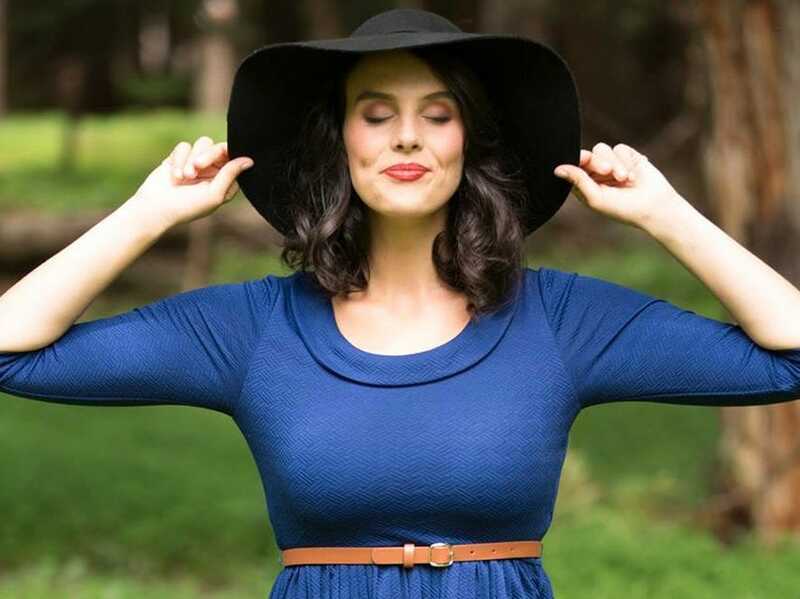 Modcloth has abandoned a word that has a large stigma in the fashion industry. Why it’s revolutionary: ModCloth has been one of the e-tailers leading the way in the plus-size revolution. Not only does the company offer larger sizes, but it has banished the use of the phrase “plus size” on its website — it’s called “extended sizes” now. Everlane is a champion of transparency. Why it’s revolutionary: Everlane has become synonymous with transparency. The company publicly explains production costs, so that consumers knows how much it costs Everlane to make its clothing (labor, materials, transporting the apparel, and duties). It compares its prices with those of traditional retailers. One dress, for instance, is $98 at Everlane, and Everlane claims traditional retailers would sell the dress for $190. In December 2015, the company had a “pay-what-you-want” sale, giving consumers three options to choose from three different prices. Why it’s revolutionary: Aerie has been leading the charge in the body positivity revolution with its unretouched models in its Aerie Real campaign. As a result, its sales have been soaring. Why it’s revolutionary: Kroger has been investing in technology. Since 2012, the company has been utilizing QueVision, which uses sensors and predictive analytics to feed managers real-time data — and it’s the only system of its kind in the US. Trader Joe’s in-house brand sets it apart. Why it’s revolutionary: Trader Joe’s sells twice as much per square foot as Whole Foods, yet offers very few brand names. Consumers view Trader Joe’s as high-quality but inexpensive (many staple products are half the price of other retailers). The creativity of the in-house products is also important. Some of the most popular products include Chili-Lime Chicken Burgers, Cookie Butter (a cookie-flavored nut butter), and corn and chili salsa. Why it’s revolutionary: Whether the company is debuting new cooling technology, self-lacing sneakers, or moisture-adaptable apparel — or showing off its exclusive gym — Nike is always up to something. It has maintained its reputation as the number one apparel retailer by continuing to innovate and impress consumers. Amazon gets things to consumers faster than ever. 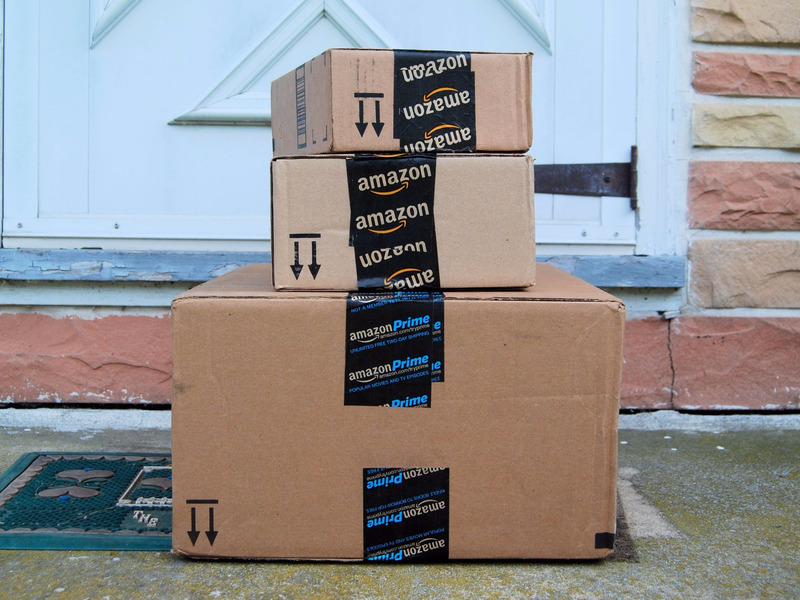 Why it’s revolutionary: Amazon Prime has changed the way many people operate on a daily basis, and with Prime Now, the company is taking things (like wine delivery) to a whole new level. The company continues to innovate and find ways to bring things to consumers quickly and without having to leave the house. Peloton is making going to indoor cycling classes obsolete. Peloton received $75 million in funding in December. H&M is bringing high fashion to the masses at affordable prices. Why it’s revolutionary: H&M has proven that it’s highly adept at fusing the lowbrow with the highbrow; its high-fashion collaborations has solidified it as several notches about fast fashion behemoth, Forever 21. The company’s 2015 collaboration with Balmain was so successful, consumers took to selling items on eBay for several thousand dollars. 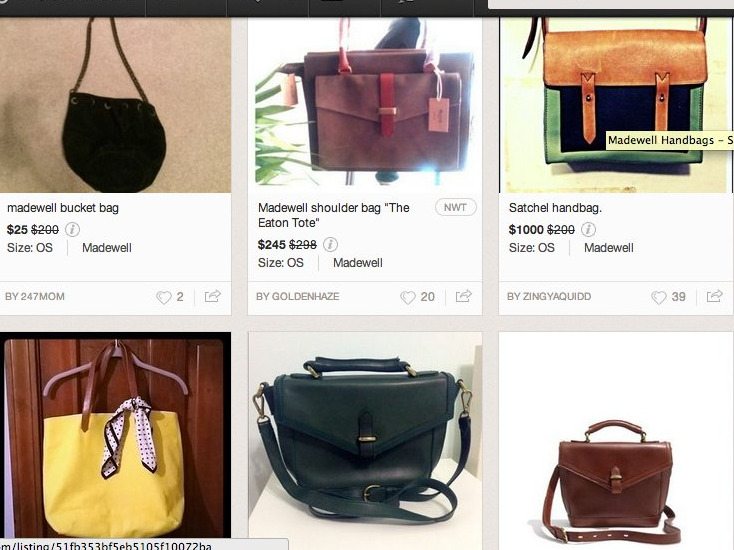 Poshmark is making re-selling accessible for the Instagram age. Why it’s revolutionary: Poshmark uses an Instagram-like platform for users to sell used clothing. For a fee, users can easily upload pictures of their items. Unlike eBay, which can be overwhelming with its broad array of products, Poshmark is focused on clothing and accessories. Users can shop by brand or see what their friends are selling, giving a social aspect to the app. The reselling business is extremely profitable and popular; it’s a billion dollar industry. Caviar takes food delivery to the next level. Why it’s revolutionary: Caviar takes what many people love — food delivery — and primes it for the Instagram age, with attractive food photos and a solid user experience. Unlike its competitors, Caviar also aims to get people excellent local food, rather than just the usual slice of pizza. Target keeps experimenting with new technology. 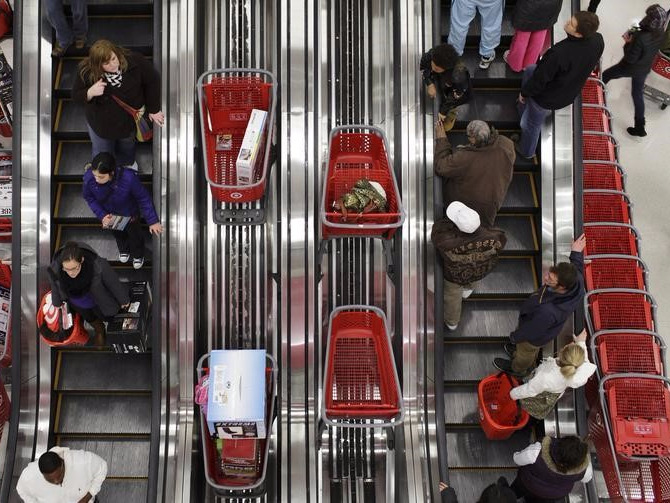 Why it’s revolutionary: Target keeps innovating. In this year alone, the retailer has incorporated cartless shopping and LED customer tracking. The company also revealed it would test robot workers. The big box retailer has also become an important player in the apparel industry, as it has incorporated plus-size fashions. 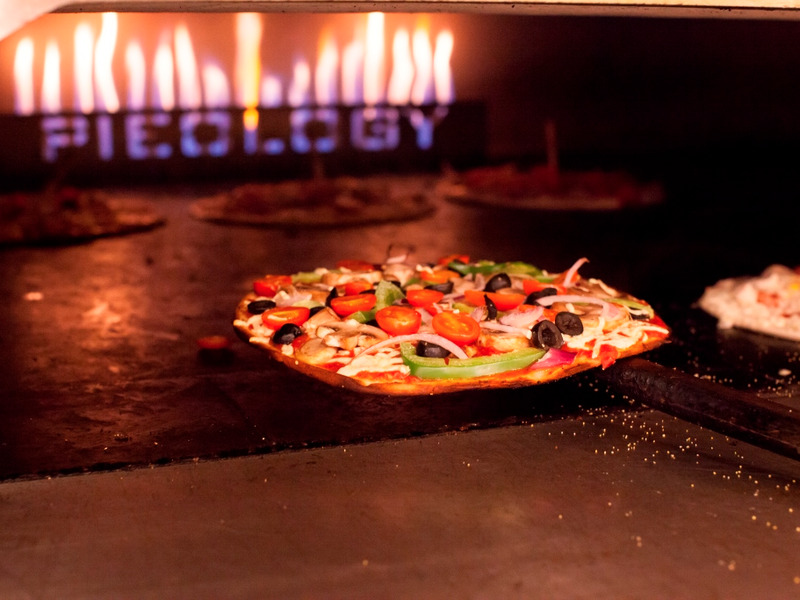 Pieology is growing rapidly by innovating in the pizza sector. Why it’s revolutionary: The fast-casual pizza restaurant is the fastest-growing chain in America, according to data compiled by Technomic.The company’s allows customers to customize their pizzas (making it similar to Chipotle) — from wheat crust to gluten-free crust to vegetarian pizzas to dairy-free cheese. There are 40 toppings, and a custom pizza is $8 or less. 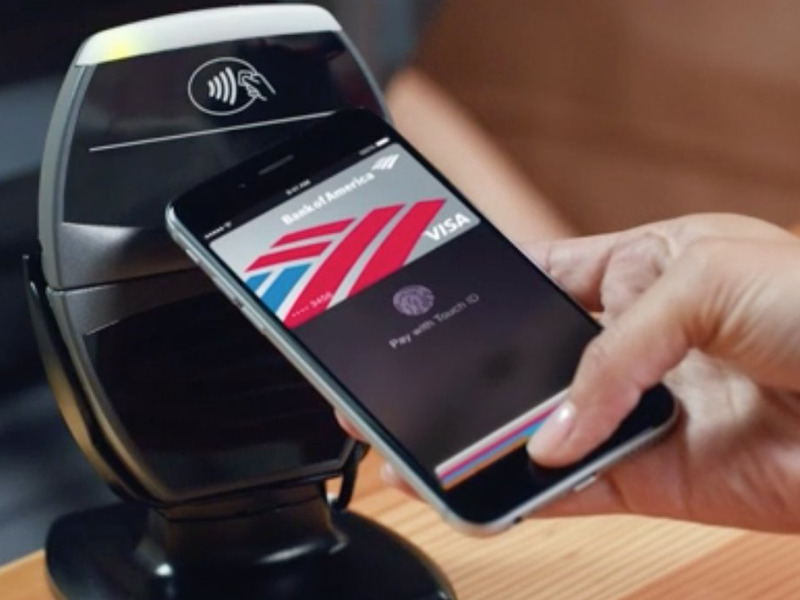 Apple is changing the way we make payments. Why it’s revolutionary: It’s no secret that Apple is a huge force in technology, but the company’s Apple Pay system is potentially going to shape the way retailers operate and consumer shop. Aldi has mastered affordable prices. Why it’s revolutionary: Aldi has been called the world’s best grocery chain.The German company has more than 8,000 stores around the world and is rapidly expanding. 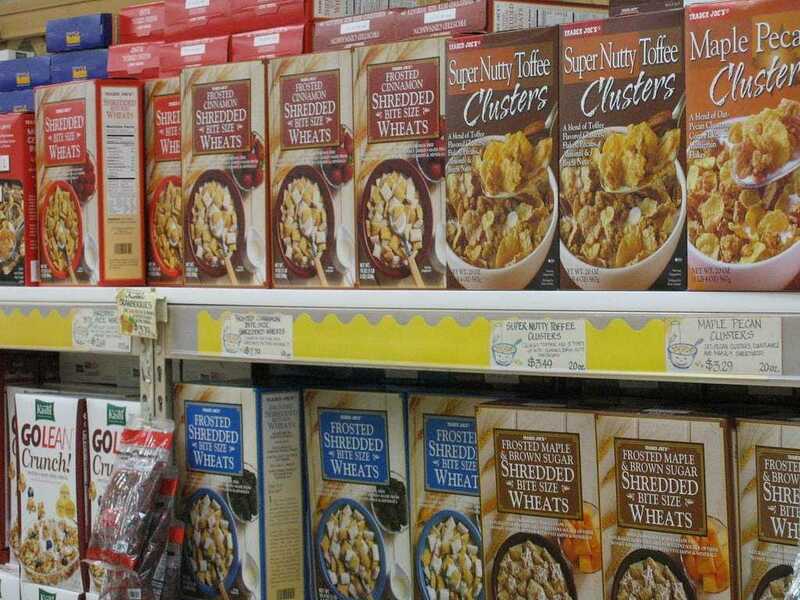 The company has figured out how to make groceries cheaper than its competitors. Groceries at Aldi are “shockingly cheaper” than those at Wal-Mart, according to a study by Cheapism. They’re also cheaper than those at industry darling Trader Joe’s. So how has Aldi figured out how to do this? By using private labels, a no-frills design, and a tremendous about of effieicny. Interior Define offers a middle ground for those who are done with Ikea, but can’t afford designer furniture yet. Why it’s revolutionary: Interior Define builds every piece of furniture on demand and will customize everything, including size, shape, color, fabric, filling, and frame. 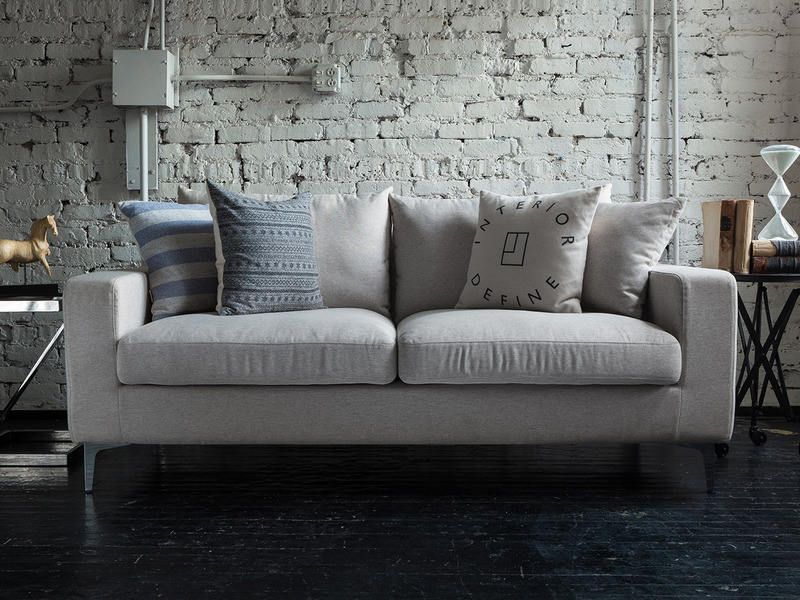 With an average price point of about $1,700, Interior Define is targeting customers who have graduated from Ikea furniture but can’t afford designer brands. Wanelo has created a shopping community. Why it’s revolutionary: Wanelo is a popular online shopping community where users find and share images of cool products. 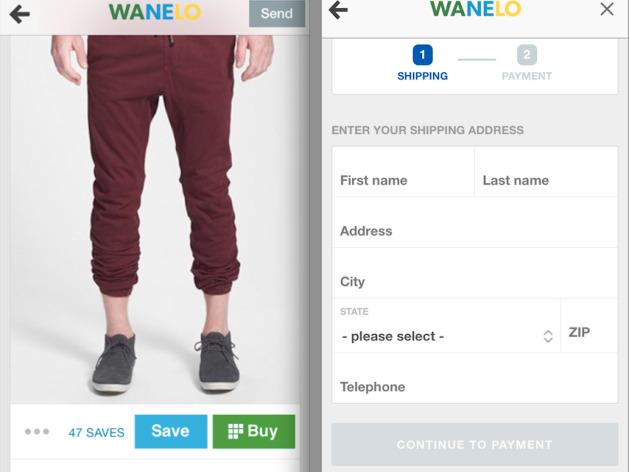 Users can click on a product’s image on Wanelo will take users right to the website where they can purchase it. In a single year — from August 2013 to August 2014 – Wanelo grew from 1 million members to 11 million. Primark has clothing cheaper than Forever 21. 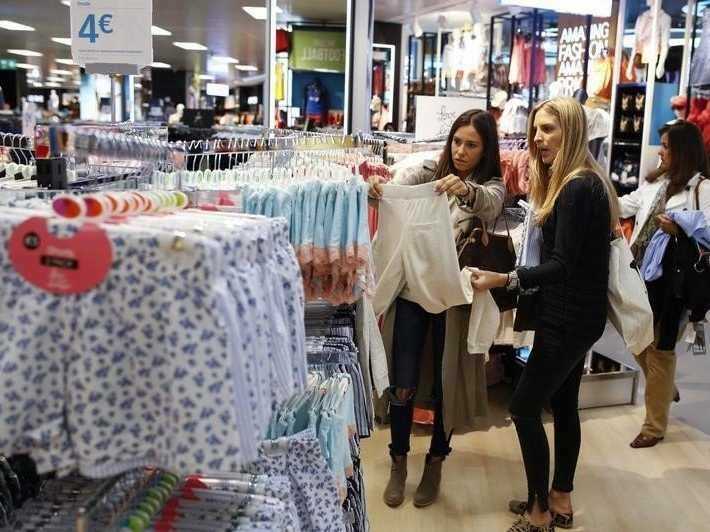 Why it’s revolutionary: Primark has figured out how to be cheaper than Forever 21 — and now, the fast fashion company is preparing to take America by storm. It opened its first United States store in Boston in 2015. Kit And Ace has figured out how to make functional cashmere. Why it’s revolutionary: Lululemon founder Chip Wilson has created another vehicle for his obsession with fuctional apparel — Kit and Ace, a company that aims to make the terms “technical luxury” a part of shoppers’ lexicons. 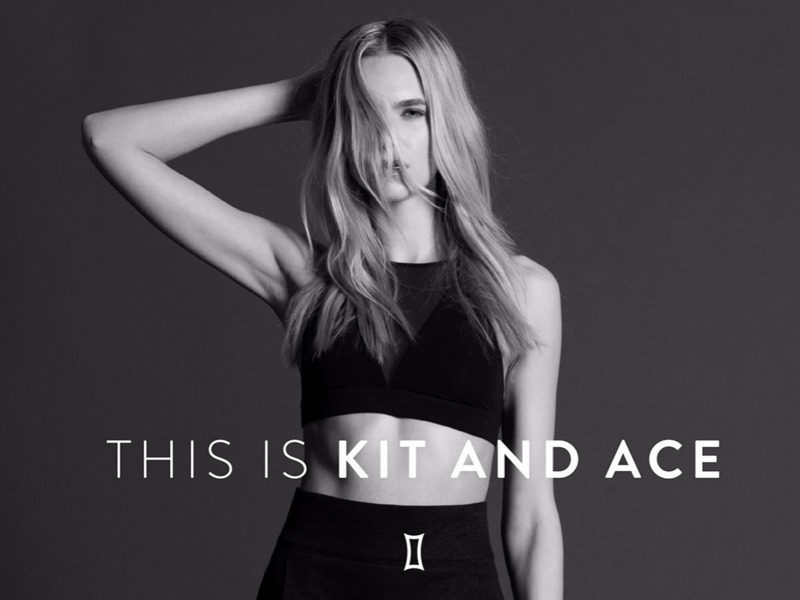 It’s innovative, undoubtedly — Kit & Ace takes the functionality that defines athleisure brands and fuses it with everyday apparel, like cashmere sweaters. The Organic Coup has the phrases combined “organic” and “fried chicken” somehow. Why it’s revolutionary: Erica Welton was a food buyer for Costco for over 14 years. Now, she’s trying to bring organic fast food to consumers with a restaurant that specializes in fried chicken. 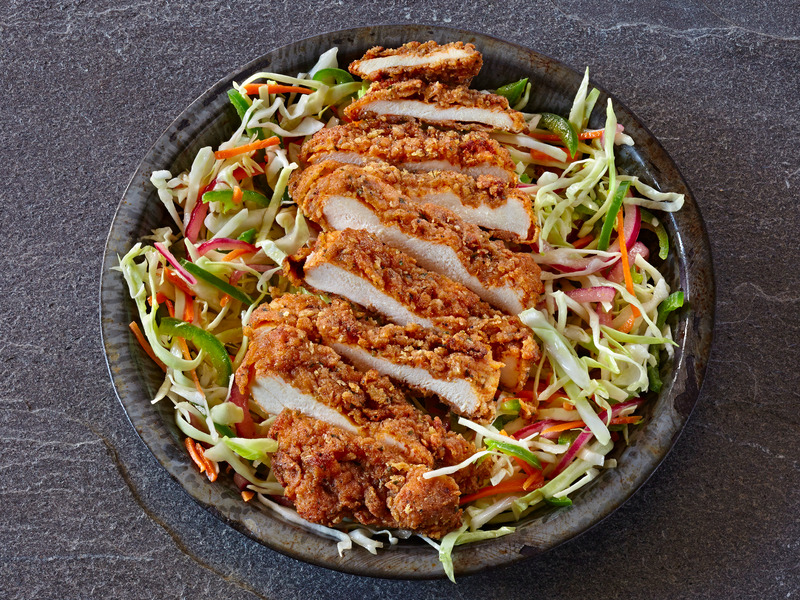 The Organic Coup is the first certified-organic fast food chain in America. Its first outpost opened in Pleasanton, California, and Welton wants to expand to New York, Las Vegas, Austin, and Chicago. Why it’s revolutionary: This salad chain keeps raising money — it raised an additional $35 million in July. It’s made salad a cool lunch staple; people are willing to wait in long lines for its fresh ingredients. 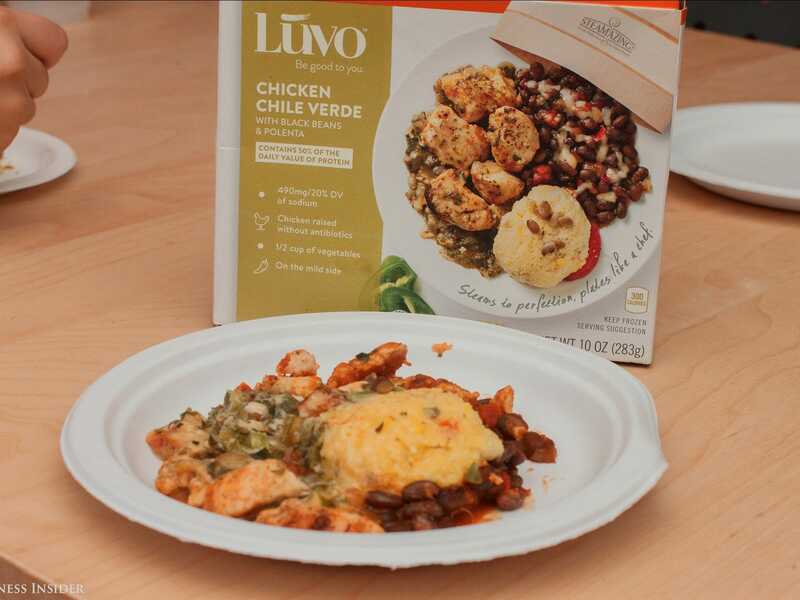 Why it’s revolutionary: Luvo is looking to innovate the frozen food sector. It has former Lululemon CEO Christine Day on its team helping to lead the charge. It has the help of a brand ambassador in form of star baseball player Derek Jeter. 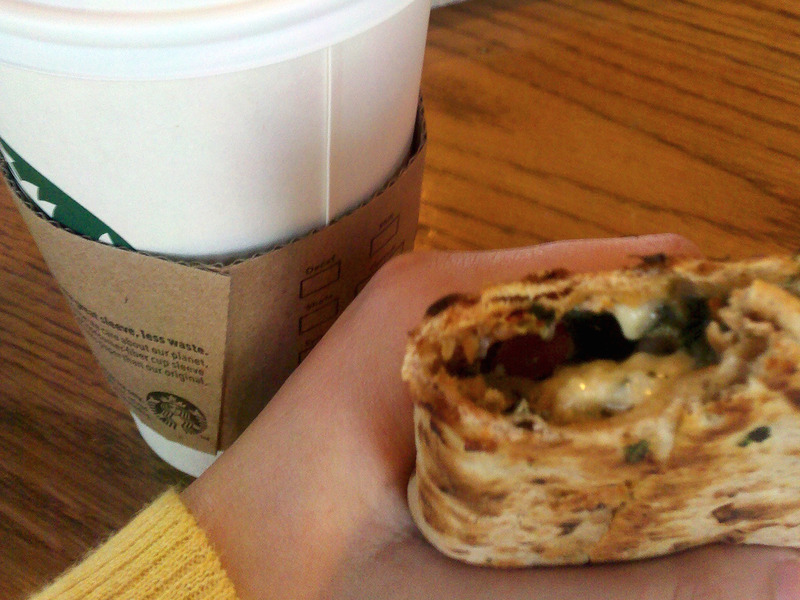 Why it’s revolutionary: Starbucks is responsible for making coffee shops ubiquitous. Now the company is leading the charge on mobile payments at its tens of thousands of locations. The company’s mobile app allowed customers to pay for their coffee beverages by smartphone before Apple Pay. 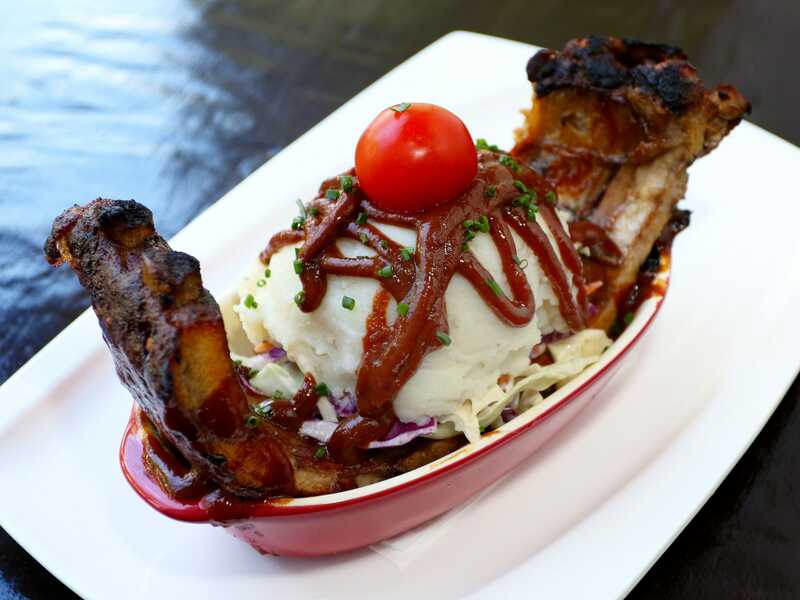 The company has also innovated its menu — including its Stabrucks Evenings menu, which features wine, beer, and small plates. BaubleBar has become the fast fashion brand of jewelry. Why it’s revolutionary: BaubleBar started out as an e-commerce retailer, and now it’s experimenting with brick and mortar shops. The online jewelry startup company, founded by Amy Jain and Daniella Yacobovsky, has tripled orders fewer than five years after launching, Sarah Lawson of Fast Company reported in September. “We’ve kind of built a ‘fashion fashion’ take on the category. When there are new trends, we want women thinking of BaubleBar. And when she comes to us, we will have it,” co-founder Amy Jain said to TechCrunch in 2014. Tracksmith is for the no-nonsense runner. Why it’s revolutionary: Tracksmith is revolutionizing running apparel by bringing clothing back to basics. Since it doesn’t have any brick and mortar stores, it can try out new products that might potentially not be hits, TechCrunch reported earlier this year, citing the “run-swim-run” short, which can be worn in water. TechCrunch also noted that the retailer had raised an additional $4 million. Much like how Lululemon has created a community, it appears that Tracksmith is trying to cultivate the same. The company as a running magazine called Meter. Weddington Way has eliminated the most annoying part of being a bridesmaid. Why it’s revolutionary: Weddington Way takes one of the most painful parts of the wedding — shopping for bridesmaids dresses — and makes it easier for all involved. Brides create “showrooms” of potential dresses that bridesmaids can then pick out, allowing them to assemble selections of colors and styles, to help make sure everyone looks and feels great during the wedding. The company has a show room in San Francisco, and occasionally features pop-ups. 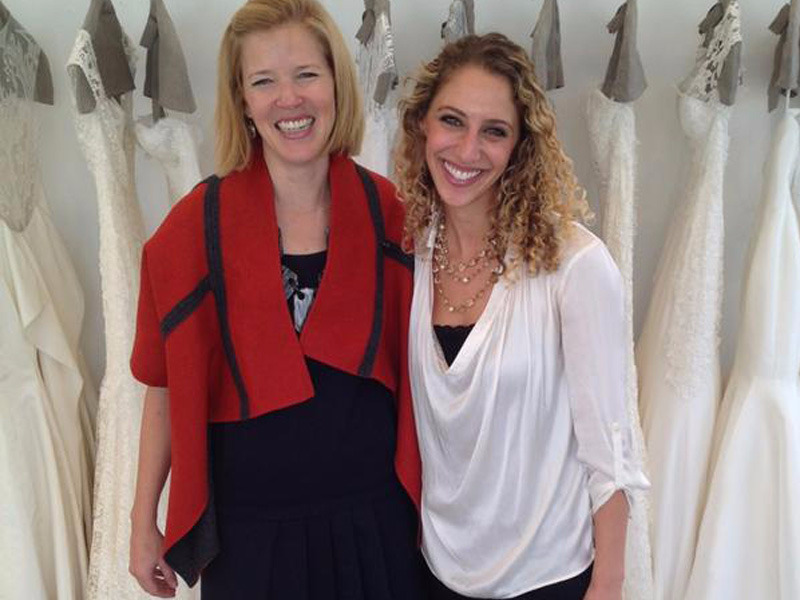 In 2016, it will have a pop-up in New York City in the winter, so bridesmaids can try on dresses. Panera is changing the way we order food. 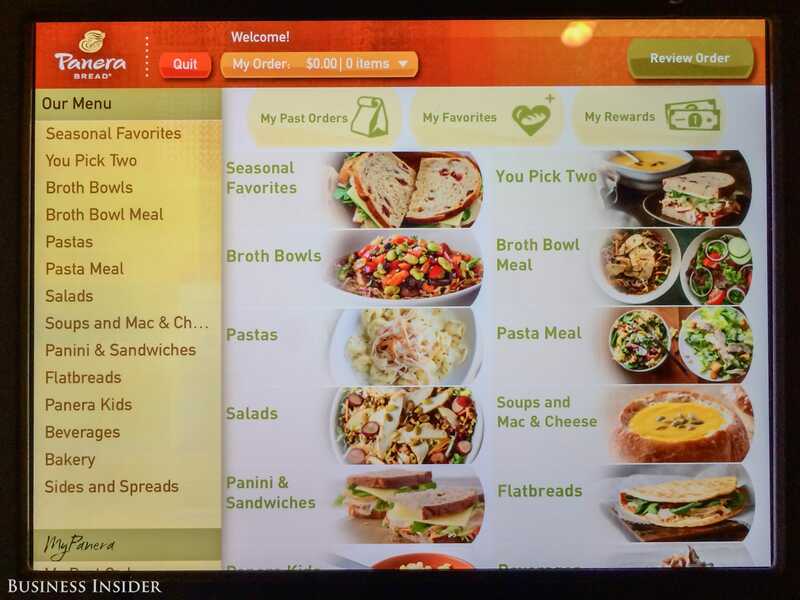 Why it’s revolutionary: Panera started rolling out its high-concept new model in 2015, and the restaurant plans to convert all units to ‘version 2.0’ by the end of 2016 — that is, it eliminates most human interactions. Customers order from kiosks using this new model, allowing for ample customization and efficiency. RetailMeNot offers tons of coupons. 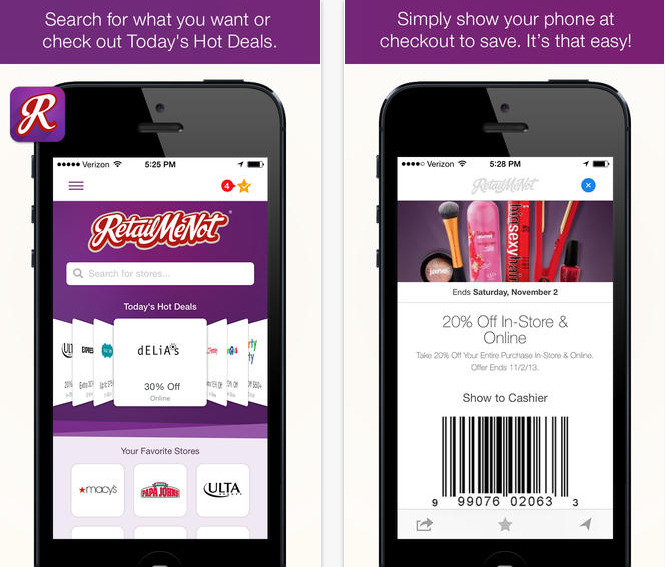 Why it’s revolutionary: RetailMeNot specializes in providing people with coupons. It’s one of the largest coupon site in the world. The company updated its app to include location-based offers for retailers ranging from Sephora to Target. In April, the company acquired GiftCard Zen Inc., which sells discounted gift cards. Instagram has completely transformed the way we look at fashion. Why it’s revolutionary: Although on the surface, Instagram is not a shopping app, it has arguably changed the way we shop. Now, consumers are privy to runway fashion near instantaneously. Instagram has also become one of the most crucial ways a brand can get a consumer to voluntarily look at ad campaigns. Instagram cemented its importance in the fashion and retail world by hiring former Lucky editor-in-chief and fashion icon Eva Chen to join as head of fashion partnerships, as WWD reported. This article was written by Mallory Schlossberg from Business Insider and was legally licensed through the NewsCred publisher network.